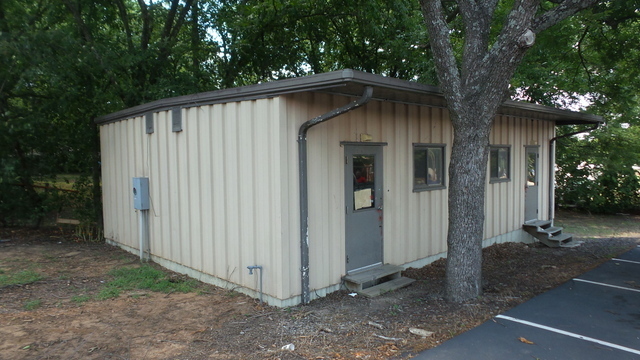 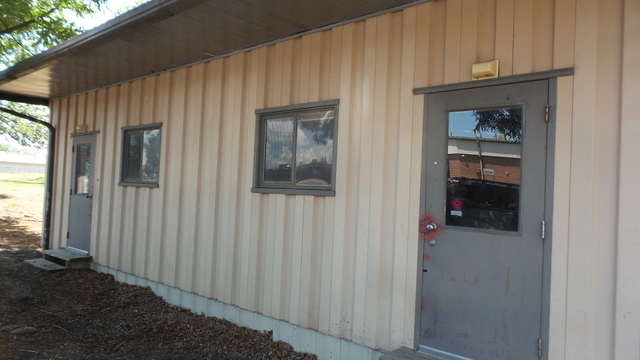 Searcy Schools has a portable building that they need moved. 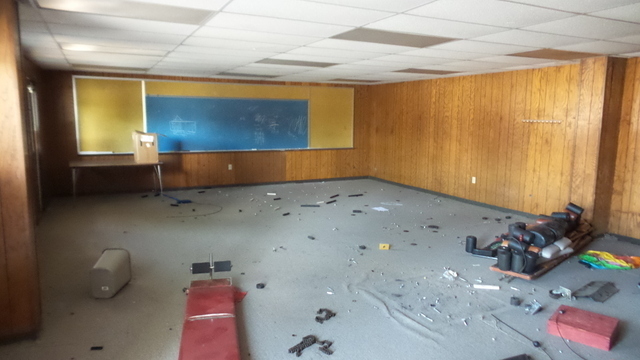 Structure was used as overflow classroom space, and sits just West of AHLF Junior High building. This could make a great cabin or shop at your camp or home! 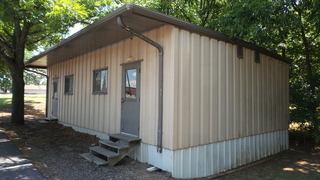 Searcy Schools has a portable building that they need moved. 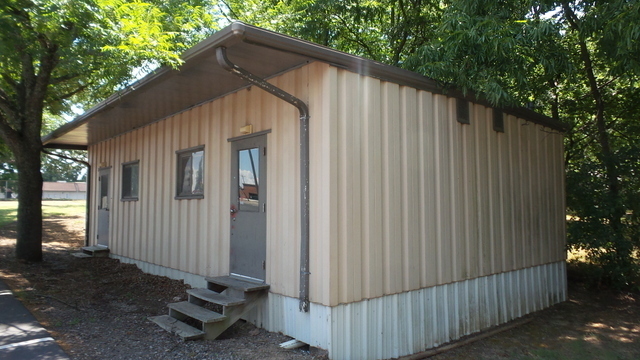 This structure was used as overflow classroom space, and sits just West of AHLF Junior High building. 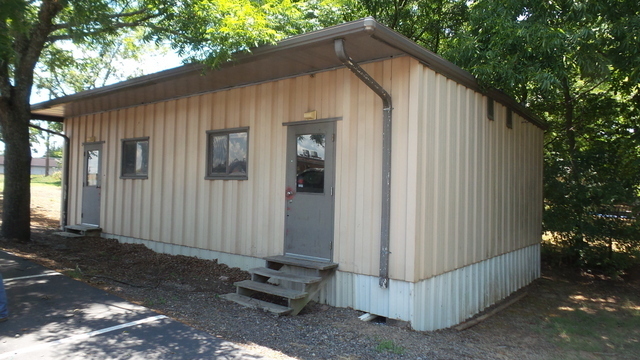 If you are looking for extra storage, or maybe a cabin for hunting camp, or maybe just a spot to call your man-cave, take a look at this sweet metal building! 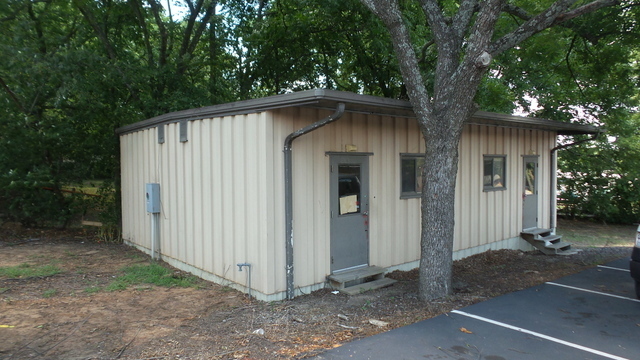 This building must be moved from Searcy School property. 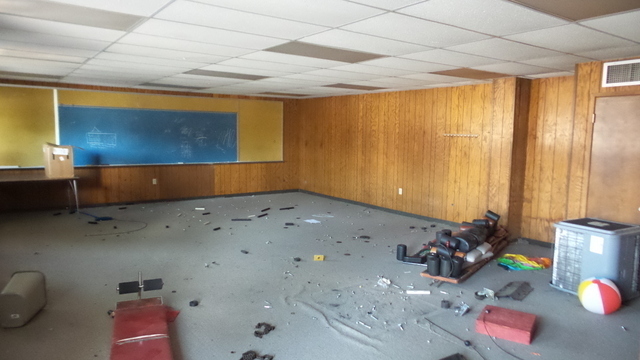 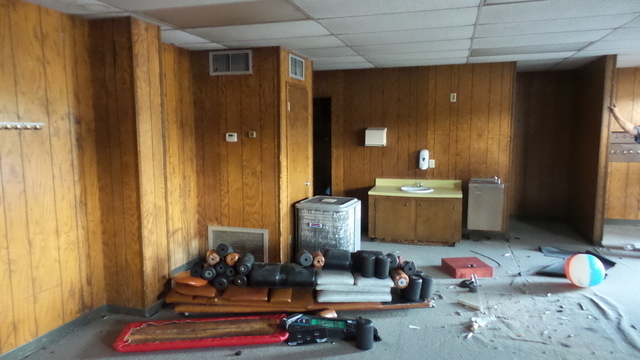 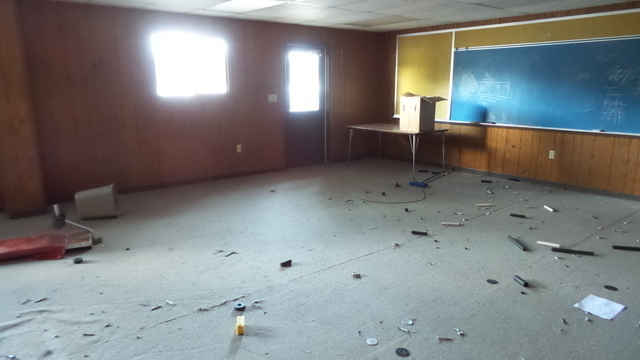 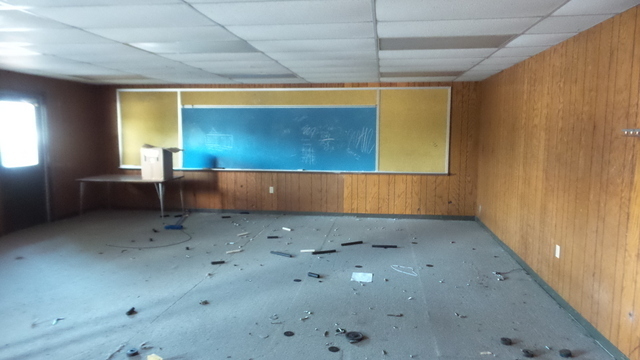 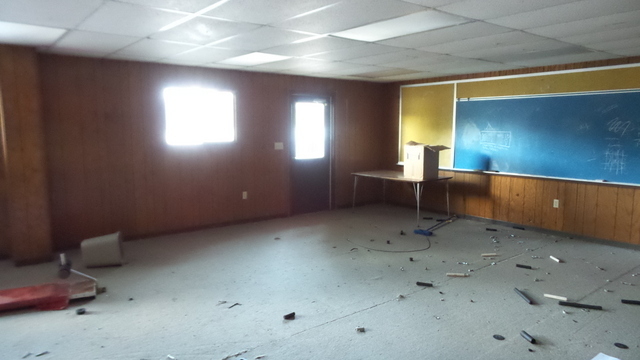 Once used as overflow classroom space, the school no longer has a need for the extra room and needs it moved. 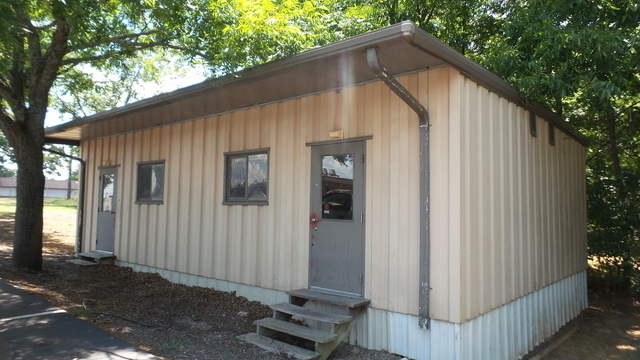 This building would make a great cabin or shop! 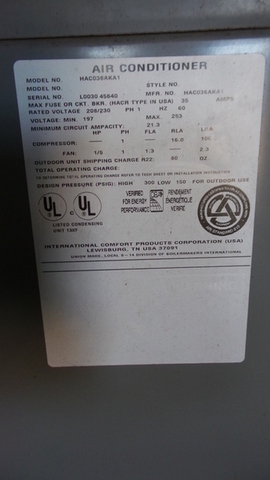 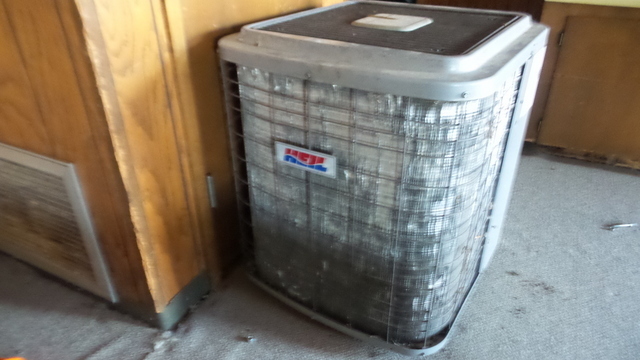 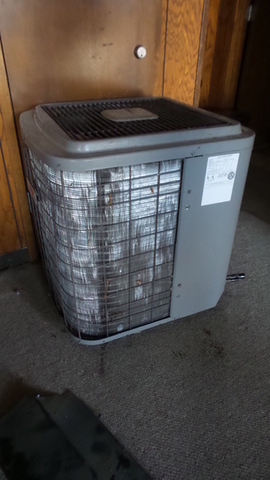 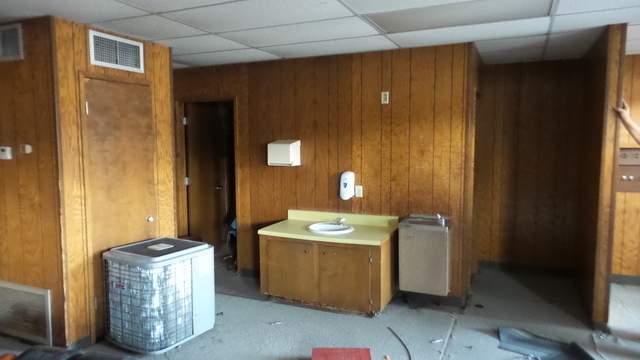 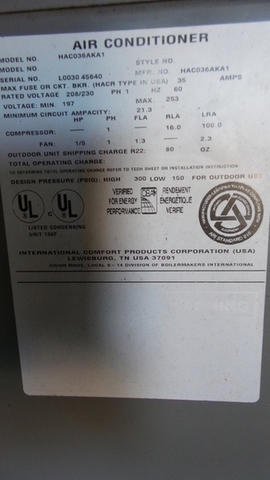 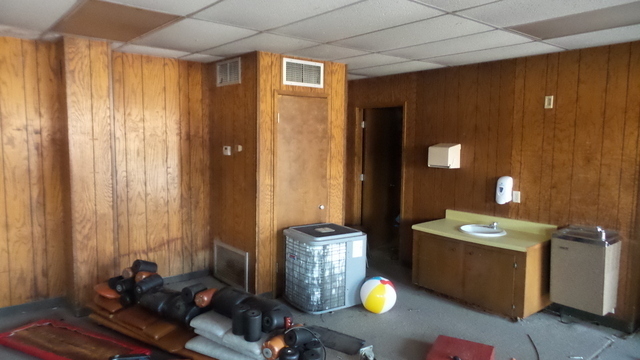 It is in good condition, and comes with a HVAC unit that has been properly taken down and ready to move! 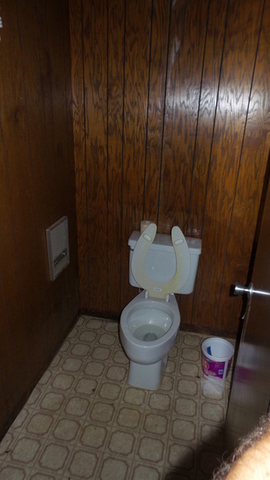 Interior consists of one large room with 2 small bathroom spaces, each with 1 toilet. 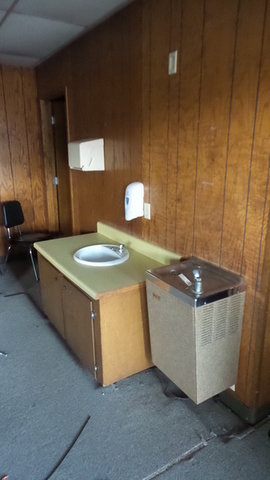 Also a vanity with sink. 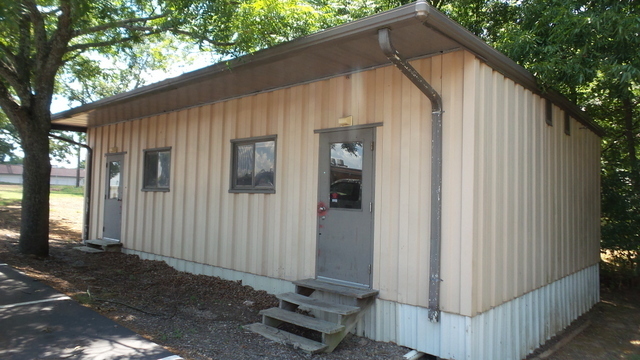 The structure is 24′ by 36′ with a 4′ awning extending off the front. 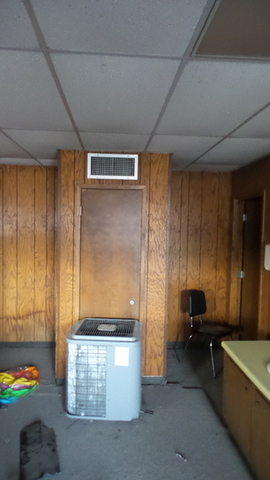 Two walk-through entry doors. 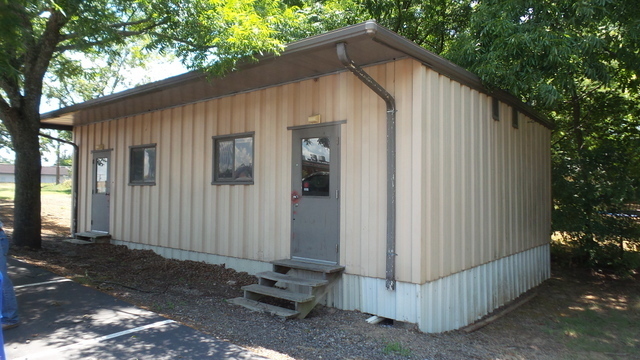 This building could serve so many purposes, just load it up and move it to a location of your choice! 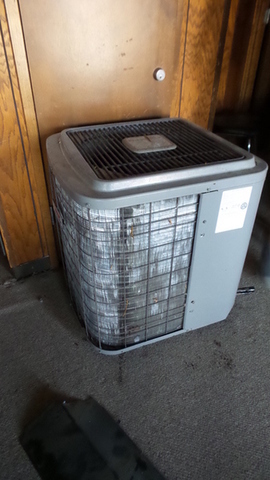 Must pay on Wednesday, August 8th. 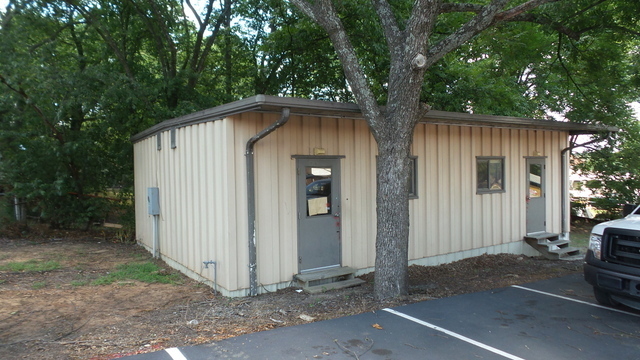 Building must be moved in a timely fashion. 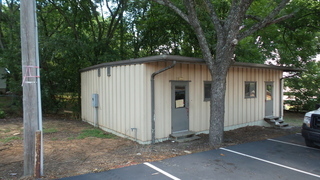 Preview Dates & Times: Building can be previewed at 701 N. Elm, Searcy, AR, on Friday, August 3rd, from 5PM to 6PM. 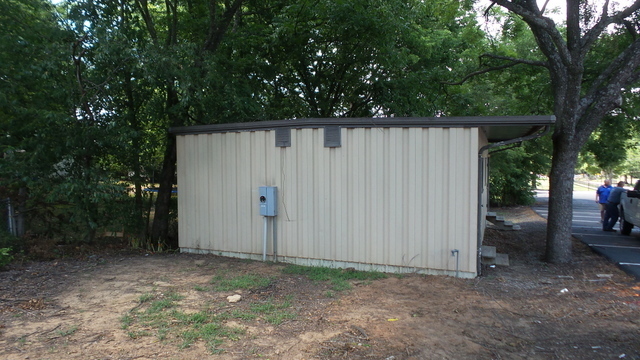 Can be viewed from the exterior at any time. Located just West of AHLF Junior High. 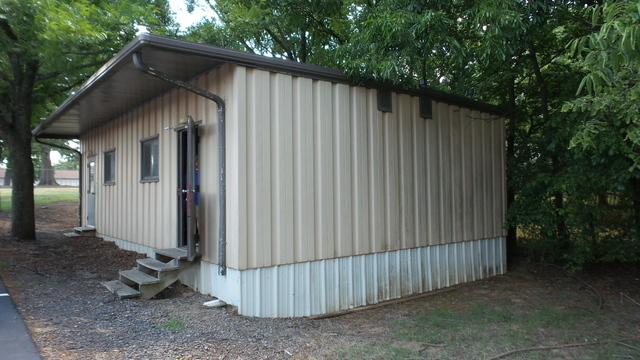 Building can be previewed at 701 N. Elm, Searcy, AR, on Friday, August 3rd, from 5PM to 6PM. 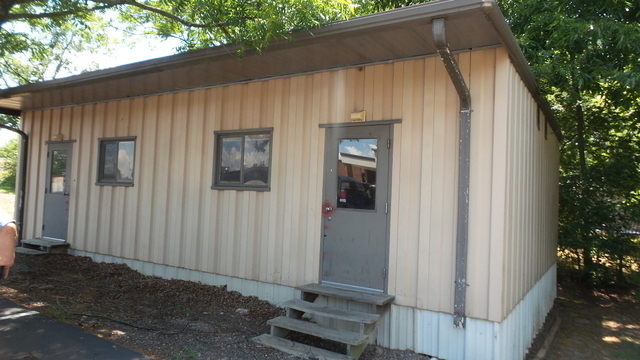 Can be viewed from the exterior at any time. Located just West of AHLF Junior High.